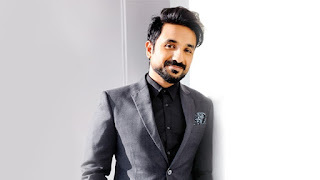 Mumbai, May 7 (PTI) Comedian-actor Vir Das says comedians can take on the government directly with their jokes in the West but to be able to do that in India is difficult. Recently, comedian Hasan Minhaj hosted the White House Correspondents' Association (WHCA) dinner in the US, during which he roasted everyone in the room including the media and US President Donald Trump, who wasn't present at the event. When asked if Indian comedians can take on the government like that, Vir told PTI, "You might have to ask that to the government. But I don't think anytime soon. Could we do it digitally? Yes. Could you do it live with the government in the room? I think that's being too optimistic." A lot of comedians and comedy groups in India and abroad are addressing important political issues through their jokes. Vir says though they might be talking about relevant issues, people shouldn't call them the "new fourth estate." "Just let comedians be comedians. Don't call them fourth estate, intellectualisers or prophets. If you start putting these title and pressure on comedians they are bound to disappoint you at some point. Just let them be silly people who crack jokes. "Hasan slayed at the White House Correspondents dinner but next week if he wants to crack a joke about his family or dog, he should be able to do that. Let him be free to do that," he adds. The problem, according to Vir, is that people have started reading too much into jokes, which takes the fun away. "We have over-intellectualised jokes. We read it into jokes too much. What's the meaning, was it factually correct. The essence of a comedian is to be a clown. When you over intellectualise a joke, you take away the freedom to be foolish," he says. Jokes do hold a power to communicate larger issues but the actor says a comedian should be allowed to be silly. "Every joke can't communicate a larger issue. In a one hour show, there'll be jokes that do that, other jokes will be funny and some that are just silly. You should give a comedian the freedom to put out all those jokes." The "Delhi Belly" actor is geared up for his Netflix special "Abroad Understanding", a combination of his show in New Delhi and New York where he talks about several issues without mincing words. "I don't self-censor my jokes. My Netflix special talks about racism, Islamophobia, Kashmir, patriotism, right and left wing. You just have to put it out there, not knowing how it is going to go. It's a gamble. You'll like it or you won't," he says.